Accidental slipping and falling is one of the biggest reasons for employee time loss in a number of industries. The rate of injury is increased where there are stairs or some form of lift that’s used by employees every day. Sure-Foot realizes these dangers and strives to keep all employees safe with fiberglass step covers. Contact us to speak with a representative about ordering our non-slip commercial stair covers for your workplace or renovation project! Grit panels are installed over step covers. 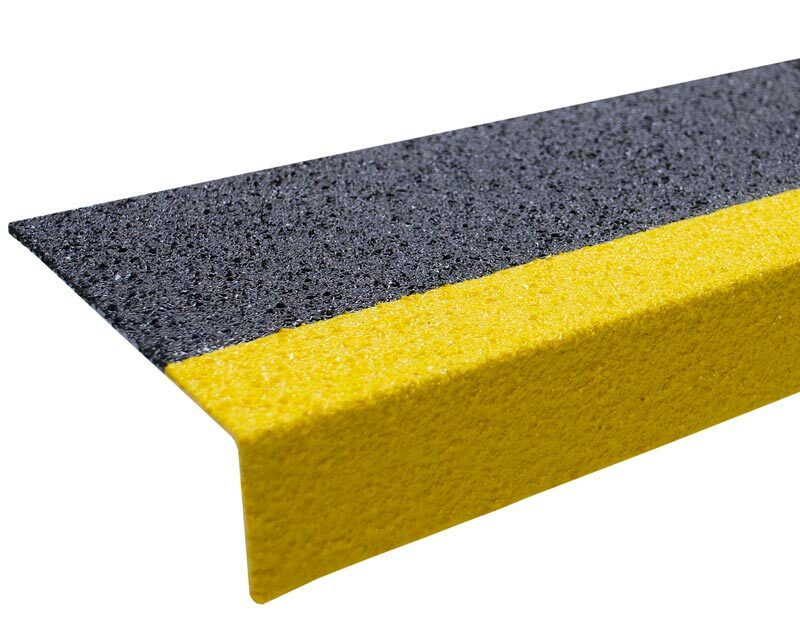 The grit panel itself is a multi-layer epoxy grit application, which makes it feel like grains of sand or gravel when touched by the bare hand, and its sole purpose is to provide friction on the step to ensure a worker’s footing. The grit absorbs water and other moisture, which would typically make the surface slippery. It also grabs the bottom of the shoe, steadying an employee when they place a foot on the step. Sure-Foot Industries understands that the safety of all workers is a top priority and offers many options to meet all applications within your business. 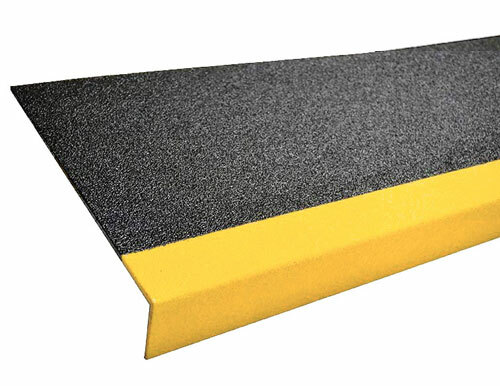 Sure-Foot fiberglass step covers are available in four sizes – 3, 8, 9 and 11.75 inches – to accommodate different step sizes. 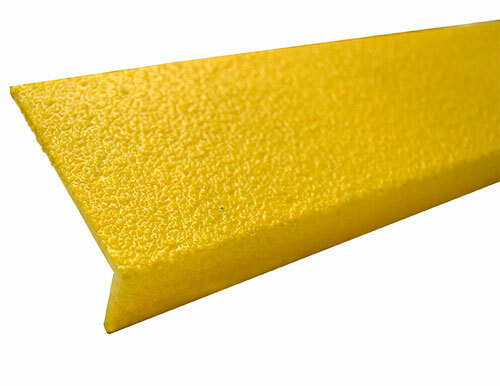 All step cover sizes can be purchased in heavy-duty, medium, lite or fine grit. 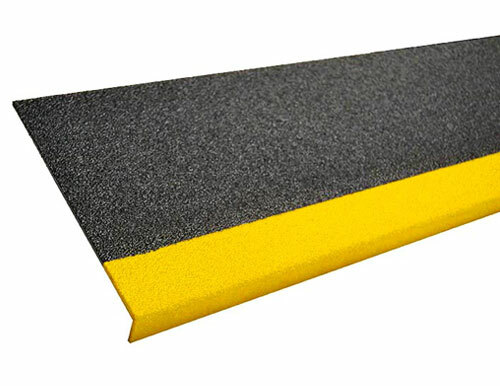 Sure-Foot Industries fiberglass step covers are important for the safety of every employee. Employers who want to keep employees from slipping and falling down stairs will look into Sure-Foot Industries because of our reputation. When employers and Sure-Foot Industries work together, employees stay safe, employers save money and injuries are drastically reduced. The Sure-Foot Industries safety line safeguards both employers and employees on a consistent, daily basis.